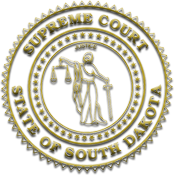 The First Judicial Circuit Court is served by six circuit court judges, two magistrate judges, and court clerk magistrates in each county in the circuit. Assisting the presiding judge is an appointed circuit court administrator and a chief court services officer. Circuit administrative offices are located in the Yankton County Courthouse and Safety Center, 410 Walnut Street, Yankton, SD.